Before long, I had been roped in to teach basic gardening for the local Adult Education College – teaching is a skill all of its own and if you have it (which I discovered to my surprise that I had) you can teach anything. As my own gardening skill grew, I managed to keep one page ahead of my students, who seemed to lap up the basic ‘no question is too daft’ informal course that I devised, and loved the fact that we all visited each others gardens as part of the learning process. Eventually I found myself opening my small garden in Wandsworth Common for the National Gardens Scheme. Soon, the press homed in on me, and I started teaching at home and giving advice informally on a one-to-one basis to enthusiastic but befogged gardeners. And then, suddenly, out-of-the-blue, I was on telly – initially presenting two series of Gardening From Scratch on BBC2, and another BBC daytime series, Gardening Week. 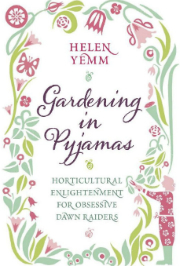 After that, I took it all rather more seriously, moving out of London and taking on a two-acre untamed garden in Sussex, and writing a book based on the courses I was (still) finding time to teach, called Gardening In Your Nightie. 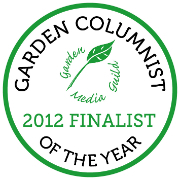 The Telegraph Thorny Problems column came next, and I suddenly found I was, officially, a garden writer and lecturer. Nowadays, as well as the weekly Thorny Problems page (an ecclectic mix of musings and agony-aunt-style garden advice), I now write other features for The Telegraph and for various magazines. My big-garden days sadly came to an end in 2006 when I was forced very suddenly to downsize. I have since created a pint-sized beautiful garden (still in East Sussex) that I absolutely love, proving that size isn’t everything. I really enjoy meeting and talking to other gardeners – I find it very much feeds my writing. I regularly lecture at Coton Manor Gardening School in Northamptonshire, and if time allows I will travel around the country to talk to garden societies and take on speaking engagements for charities – particularly those related to gardening. In particular, lively Q and A sessions go down very well, and I have also put together a PowerPoint presentation with a general theme of the art and skill of ‘downsizing’ illustrated with pictures from some of the country’s best garden photographers. My fees are very negotiable (I am horrified at how much some ‘media’ people charge for their time) but travel expenses (from East Sussex) are not. I am happy to welcome small private groups (of between 10 and 25 people ) during May and June (and possibly into the beginning of July). I will make a small charge for this and donate a proportion of money collected to my local village charity. 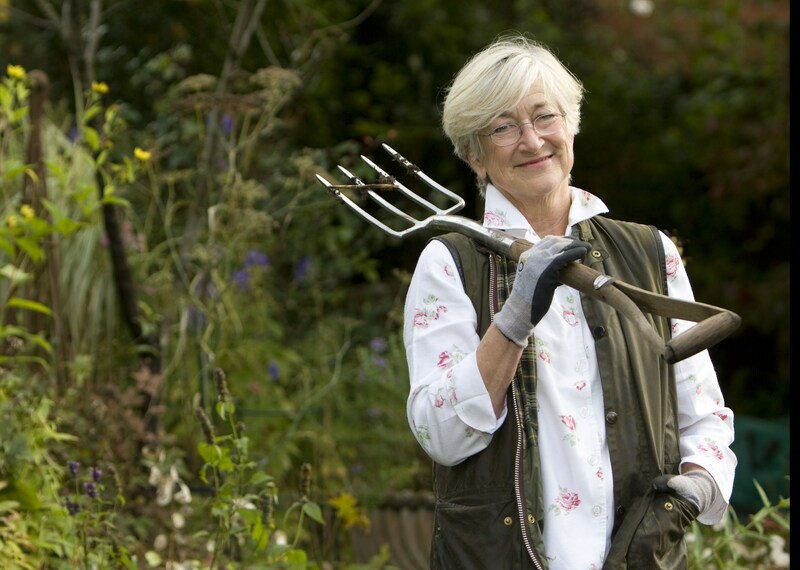 Helen – just want to say how much I enjoy your thorny problems piece in The Saturday Telegraph. It is the best column in that section by far, a wonderful mix of good sense, humour and useful information. I love it! Now that I see you live in Wadhurst I will have to combine a visit to my friends down there with a visit one day to your Open Garden. If you are ever teaching a course/doing a show/visiting Cambridge, let me know! Actually – while I’m writing – I do have a problem with my gooseberry bush. For the second year running, some aphid or so has eaten the leaves of the bush, completely decimating it to its skeletal branches. I tried to spray it with one of the chemical sprays for greenfly etc, but went away for a week and they snuck back with a vengeance. I still get the odd gooseberry but obviously there is something wrong. What’s the best thing to do, please? Many thanks and thanks again for your delightful column. I live in Mayfield and wondered if your garden in Wadhurst is open to the public this year? I am a keen visitor to Pashley and an avid gardener! I do really enjoy your columns in the Telegraph and the English Garden magazine. Also I wondered when your Thorny Problems Q and A will take place and where. Many thanks. Hello, I found you on Blotanical and came over to read a while. This is as far as I have gotten, and I must say, your ‘About Me’ makes fascinating reading! You are one whirl-wind of a lady. Can’t wait to read what you have written on this blog. I’m off now to find out. I purchased and planted a small Aesculus x neglecta ‘Erythroblastos’ last autumn. The last plant in this bed was badly nibbled, probably by deer, so before I went on holiday at the end of April I plonked a plastic bottle, cut-off at both ends, over it to protect it. Come the heatwave at the beginning of May it of course fried behind the plastic and, horrified on my return, I removed the bottle immediately. The top end of the plant gradually shrivelled and leaves developed at the graft. Would you be able to tell from a picture whether the leaves are above or below the graft line? I don’t want to pursue this if I am nurturing a viper (ie a full sized chestnut tree) in my bosom. Would not the leaves, if it were an ‘Erythroblastos’, be red by now? I was hoping you had an email address so I could send you a couple of photos of the offending plant but I can’t find one for you and I’ve never used a blog before. By the way, your Saturday articles are the best – no lyrical descriptions, just sound advice based on practical experience! Many thanks for your help on this ‘thorny problem’. Please could we have clue as to your fees for speaking to a small gardening club in the Cotswolds? Our club is the CHEQS Gardening Club which meets in Southrop Village Hall, a few miles NE of Lechlade, on a Tuesday evening. We also are in touch with other local clubs and could have a joint meeting, which would boost numbers rather. Not a comment – more of a request, but I can’t see how else to get this to you (I’m not very technical!) I am writing on behalf of a small group of American ladies who come to England each year to visit all the grand gardens plus Chelsea. Would it be possible to arrange a visit to your garden on either Thurs 21 or Friday 22 May 2009? There will be a maximum of 7 (6 of them and me). I look forward in hope to hearing from you. Hi Helen – Would it be possible for Crowborough U3A’s second gardening group to visit your garden in spring 2010 ? We are booked up for this year ! We meet in the morning of the second Thursday in each month but so far nothing planned for next year so would be happy to fit in with your plans. Can you advise cost plealse ?My diary does not give the 2010 calendar which I am now finding very unhelpful ! THIS IS A MESSAGE NOT PART OF THE BLOG! For the past 4 years I have manufactured and distributed a product called Uncle Tom’s Rose Tonic which I hope that you may have heard of. It came about from a request by Mr. Gareth Fryer of Fryers Roses to put into small gardener friendly bottles a product which I have manufactured for 10 years and is used commercially right across the horticultural and agricultural world. He had been using it commercially on his roses and found that it produced heathy plants which would be of great benefit to his cusomers. This is now stocked by the majority of the rose garden centres, Fryers, Harkness, Pococks, Cockers, Styles, Wych Cross, C&K Jones etc. Having found that the product was also being used on most other plants I have this year launched Uncle Tom’s Plant Tonic. I would very much like to send you a 500ml. bottle of each and if you could supply your address I will do so. A few months ago your wrote about an anti-heron device called Netfloat. I am thinking of ordering the product. What I would like to is know whether, after some months of experience with the product, you ate still happy that it works. Very pleased to stumble across your blog today. I really miss reading your weekly column (along with the rest of The Saturday Telegraph gardening section) since moving abroad six months ago. I just can’t find any good gardening writing (or TV programmes) here in the USA. It’s great to feel back in contact with a little piece of England . . . Looking forward to enjoying this website. I am writing on behalf of Canterbury Flower Club. I am an avid fan of yours and understand how busy you are but would love to know if you are available to speak to us sometime late this year 09 or next year and what your fee would be. We normally meet on the last Monday of the month but we could change this to suit you. It’s still a beta site, but figured it couldn’t hurt to give you a sneak preview! The Newest Slug/Snail control product that has been launched on the garden pest control market. This product has undergone extensive environmental trials and has been designed to address all the issues relating to safe use in the garden whether using organic or normal slug pellets, its unique design facilitates the slow release of vapour. If you would like a free SLUG BELL we would be pleased to send one to you and we would welcome your evaluation and comments. Reading your article yesterday in the Telegraph re Composting, have you seen the revolutionary Aerobin 400 composter? The Eden Project love it they have had one on trial for over a year their microbiologist Tim Pettitt rave s about it. It rots kitchen and garden waste very quickly turning it into good quality compost. It has so many fantastic features that enable our friends the bacteria to do their job quickly. I would be pleased to run you through all the features. It is guaranteed to create compost for all who use it, idiot proof. Oh my Helen ( sigh) ….. for the benefit of your ‘dedicated’ readers … sack the blxxdy photographer(s) or take them to court!! You didn’t deserve ‘that treatment’. I’d recruit Jon’ Buckley next time …old Titch’ looks deceptively youthful … perhaps that’s a privilege of High Sheriff ranking ??? …. but I’d pull rank !! Just enjoyed listening to you at Ticehurst and I don’t believe that you don’t do presentations often. I think we were all quite moved by your determination and artistry in starting again from scratch. For the last 20 years, I have concentrated on structual plants and trees and it has motivated me to go back to my roots (sorry) and use flowers again. Have started already with one of your last year ideas with tripod of morning glory in a pot.